I love wallpaper when used in moderation in a home. I think it adds quite a bit of style and interest to a space. However, when recently at a consult, I suggested to a client that we use wallpaper to break up a room and create a decorative focal point. She quickly replied that I wasn’t the designer for her, because wallpaper was in style in the 1970’s and not vogue today. Well, she was correct. 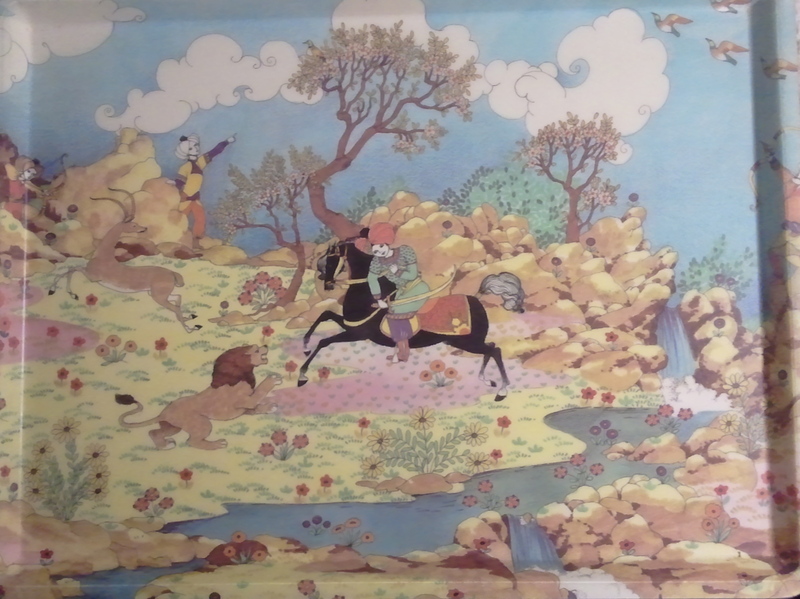 Wallpaper was in style in the 1970’s, but what she doesn’t understand is that it is very fashionable today as well! I encourage you to take a look at all the fabulous wallpapers currently on the market! Everything from flocked velvet to an amazing variety of grass cloths….check out http://www.designyourwall.com for the samples below and a variety of other fun patterns. I also adore Thibaut designs as I think they are classic and whimsical. I have used their grasscloths for many recent projects. anything can be art for your walls…use your creativity! I found these vintage trays from the 1970’s and fell in love with their color scheme and design. I purchased all 20 of them for $20.00 and placed nine up on a wall in my family room as artwork. 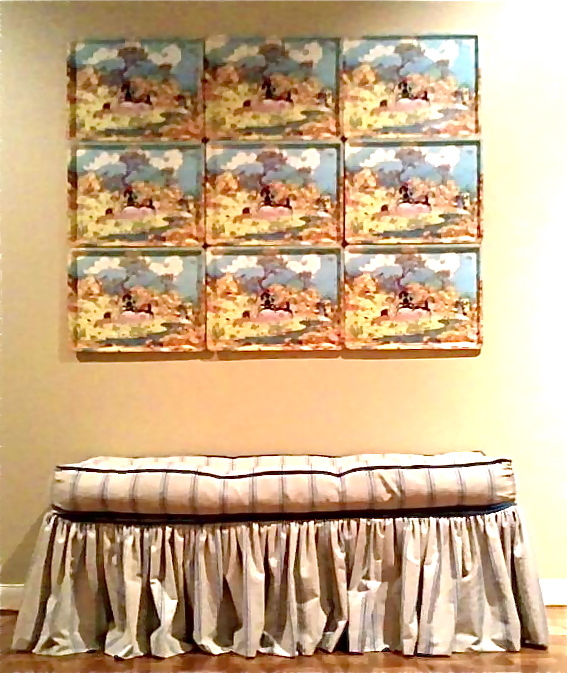 This “art” broke up a large wall while adding some visual interest and whimsy to the space. These would also look great as a “headboard” above a bed or hung on the back of bookshelves. Here is the best thing about this idea: they didn’t need to be framed which saved a lot of money and time!